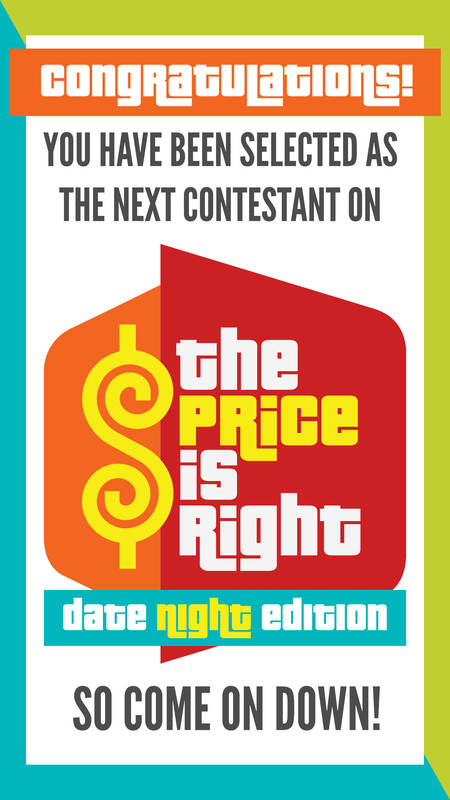 The price is DEFINITELY right for this super fun date night: FREE! That is right! The classic television show, “The Price is Right” game is still going strong for a reason! The thrill of guessing prices and winning cool prizes has thrilled audiences for years! Now, we have created a ready-to-play version that you can do for a fun date night with your spouse or even as a group date night with your favorite couples! Who is ready to play? 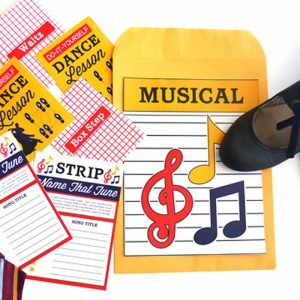 This date night idea is seriously so easy to play and even easier to prep! 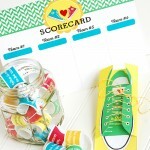 With these beautiful printables designed by the talented Courtney from the site Paperelli.com, all you have to do is print them out and you are totally ready to play! It doesn’t get much easier. We have everything you need! 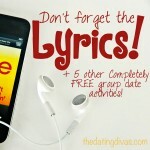 One thing that I love about this date night idea is that you have so many options! You can do the date night with just you and your spouse, but you can also do this as a group date night! 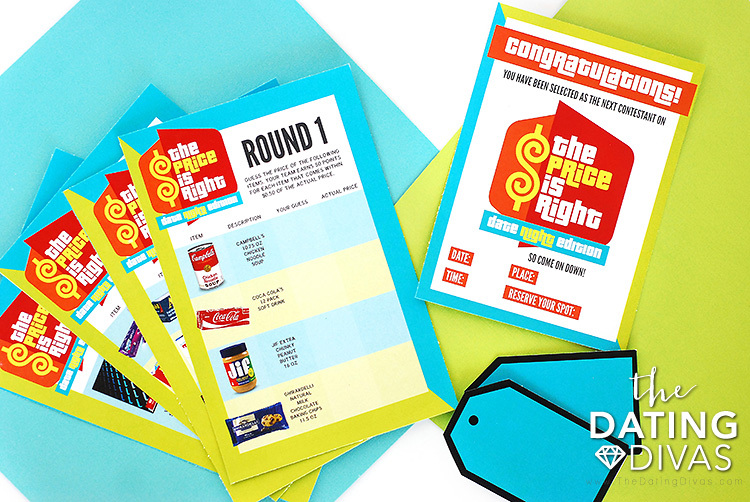 You can invite your price-savvy spouse/friends with either of our two Price is Right invitation options. We have a paper printable invitation that you can fill out and deliver to your group. Just print and hand out! 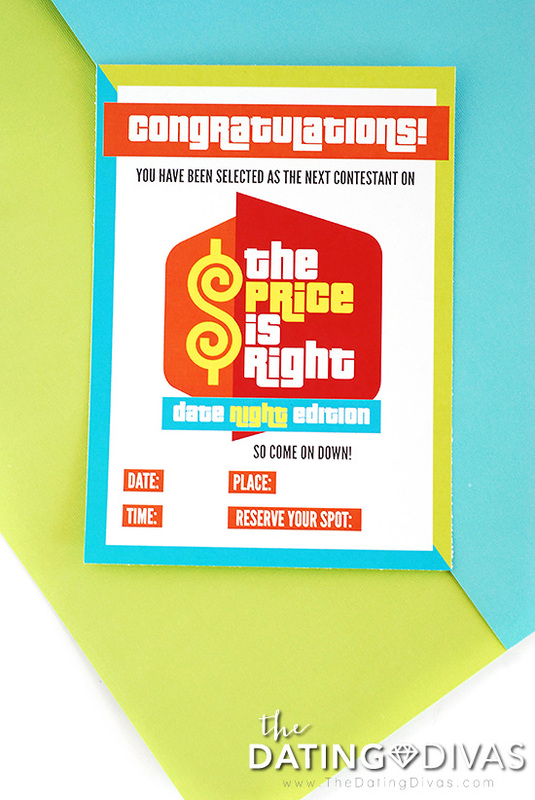 The other option is to download our digital Price is Right invitation that is perfect for texting or emailing your friends. 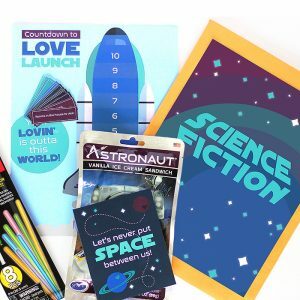 Since we have completely prepped everything for you for this date night, all you need to do is to print out the printable game cards for each participant. There are 4 cards total (2 cards to a page). If you are doing a group date night, I suggest having the couples play on teams to cut down on printing and it just more fun that way! Next, you will want to print off the classic Price is Right game name tags. I mean, what is The Price is Right without the classic large name badges? 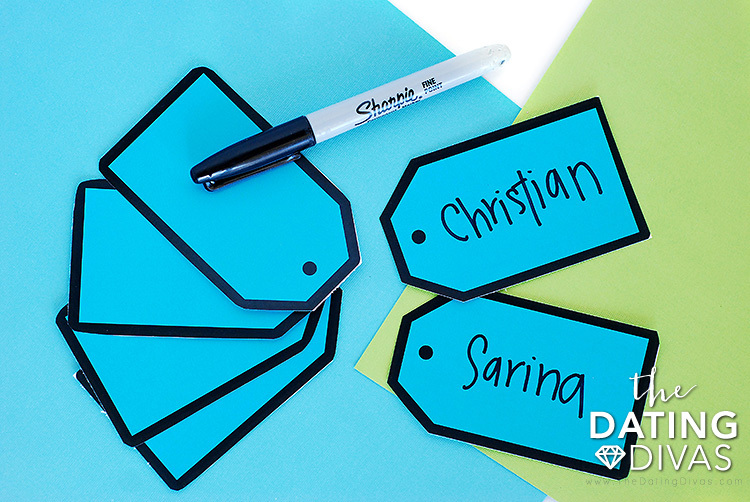 Cut out each one for each member of your group and add your friends’ names with a black marker. And that is it! See? Wasn’t that easy? Now for the fun part—game time! So now it is game time! Here is what you do: Meet your invited guests at the local Walmart or Target and hand out the cards for Round 1. 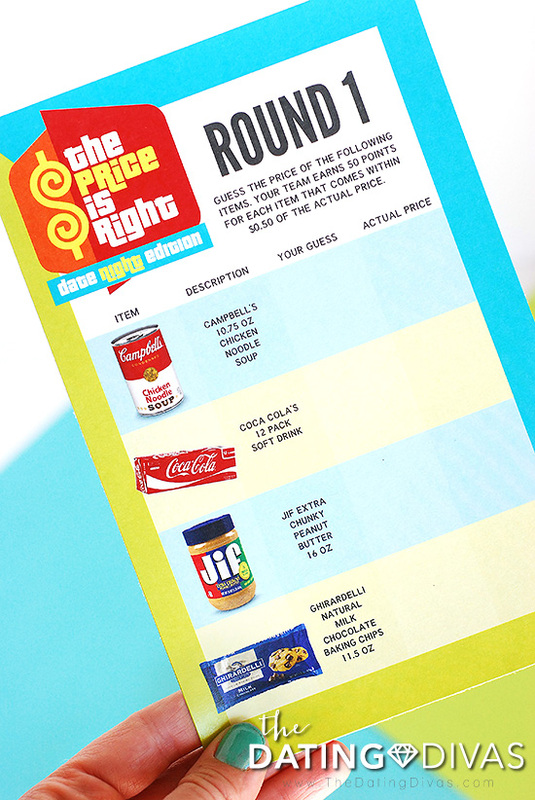 Bring writing utensils and have each group write their price guess for each of the merchandise listed on their card. When all have made their guesses, as a group, go find each of the items and see how close to the actual retail price each group came! Points are awarded as indicated on the card. When Round 1 is complete, move on to Round 2, then Round 3, and finally—the Showcase Round (Round 4)! All of the additional rounds are just variations of Round 1 and have detailed instructions on the card itself. Fun, right? Just imagine you and your spouse racing through the store searching for the items in hopes of coming close in price! 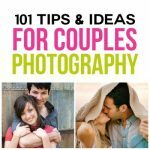 If you aren’t able to get out of the house, you could easily adapt this date night for a fun at-home date night! 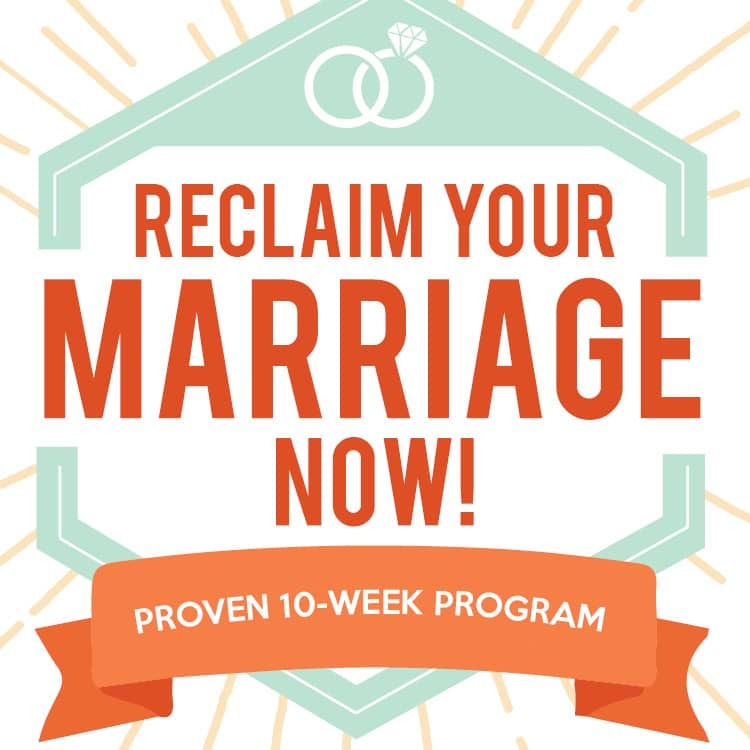 Instead of going to your local Walmart or Target store, you and your spouse could shop online! Use your printable cards to make your guesses and then look the items up on Walmart.com or Target.com for the exact prices! 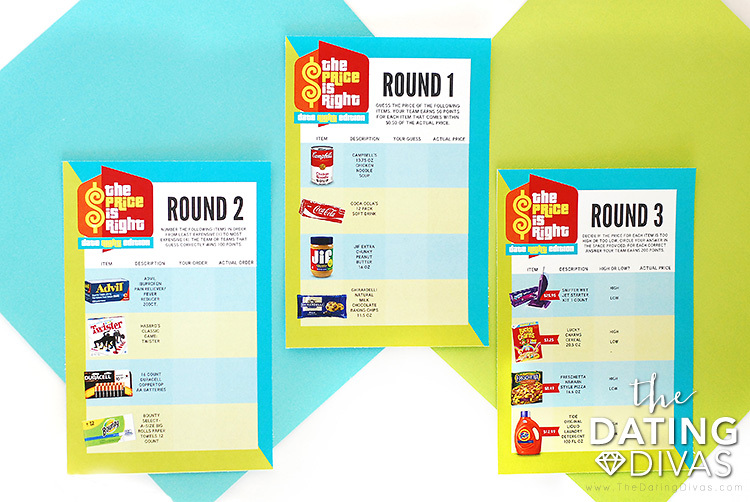 Save these printables to your date night board on Pinterest so you don’t forget! Finally, what is The Price is Right without amazing prizes? The winning group may receive the satisfaction of winning (most cost-effective choice) OR maybe the losing groups can chip in to buy a favorite treat for the winners right there in the store. Having some sort of incentive for the winners is totally optional, but it might be fun to have a little prize for the winner. If you are already at the store, picking up a prize is easy! Whatever you decide—the memories from this date are sure to be PRICELESS! 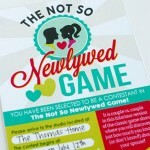 For more Diva Editions of popular TV game shows check out our version of Minute to Win it and The Newlywed Game. Who doesn’t love Price is Right! Can’t wait for this date night! I love the digital invite! 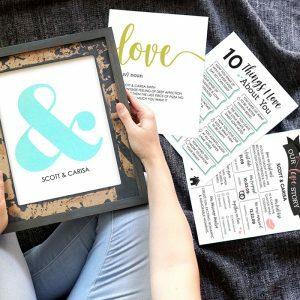 These printables are SO fun! I LOVE The Price is Right! I’m so excited to play! The link to paperelli.com does not have the option anymore to download the sheets to play the four rounds of the Price Is Right. I’m trying to plan dates nights during the Summer and I think my wife would really enjoy playing this game. Please let me know where I can find the sheets or send me a link to my email. Thanks so much. I hope you have so much fun playing this game! 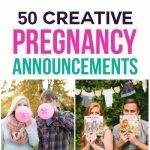 The link for all the free printables is at the very bottom of the post. You will find a pink bar that says “Click to download our Price is Right Date Night” If you click on the pink bar – it should open up a new tab with all of the files. Good luck and enjoy! Where are the actual prices? 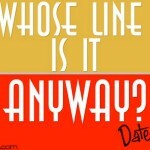 Good question Abbi! So, when you do this date you actually go to the store. I recommend a store like Walmart or Target. You make your guesses right there in the store and then you go find the product right there on the shelves. Whatever price is current – that is your answer! 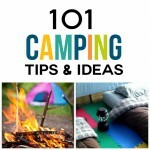 With fluctuating prices and sales – the prices could vary daily.